Texas TravelingMom Jill lists a Disney Cruise at the top of her family’s “awesome vacation” list. 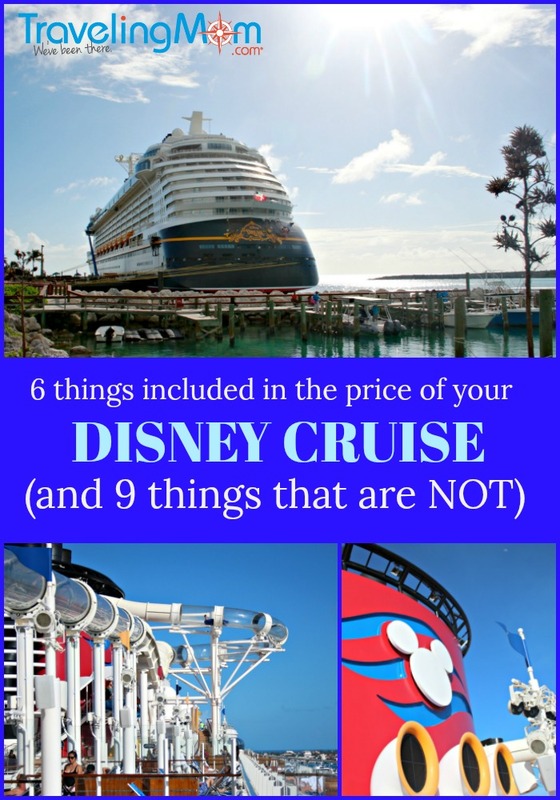 If you’re pricing cruises, she’s got some insider insight in to what you get for your money and why it’s worth the spend with this list of six things that are included in the price of your Disney Cruise. For us, the answer is a resounding yes, and one of the reasons that got us to yes is all the things included in the price of your Disney Cruise. Here are six things that are included in the price of your Disney Cruise (as well as nine things that are not). All meals in restaurants and buffets are included in the price of your Disney Cruise. One of the things I love best about the Disney Cruise experience is how passengers rotate through the different dining rooms AND how your servers rotate with you through the duration of your cruise. The dining rooms are so exquisitely themed and my family loves getting to experience something new each night while being taken care of by servers who will be with us for the entire voyage. Soda and all-you-can-eat soft serve ice cream are also included. You can order a soda with your meals or serve yourself from the machine on the pool deck. Most cruise lines will include free tea and coffee but will charge per glass or offer a drink package for sodas. 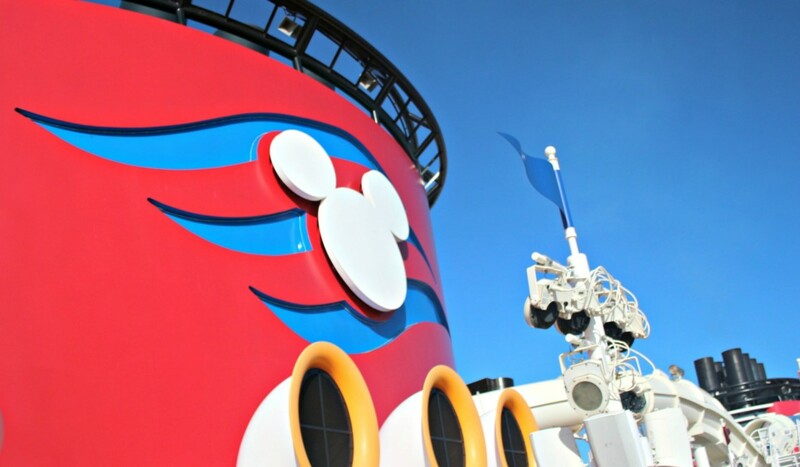 No charge on a Disney cruise! The all-you-can-eat soft serve ice cream is pretty amazing, too. It’s a big favorite with my kids (because duh, ice cream) but I like those endless cones, too. Not even gonna lie. 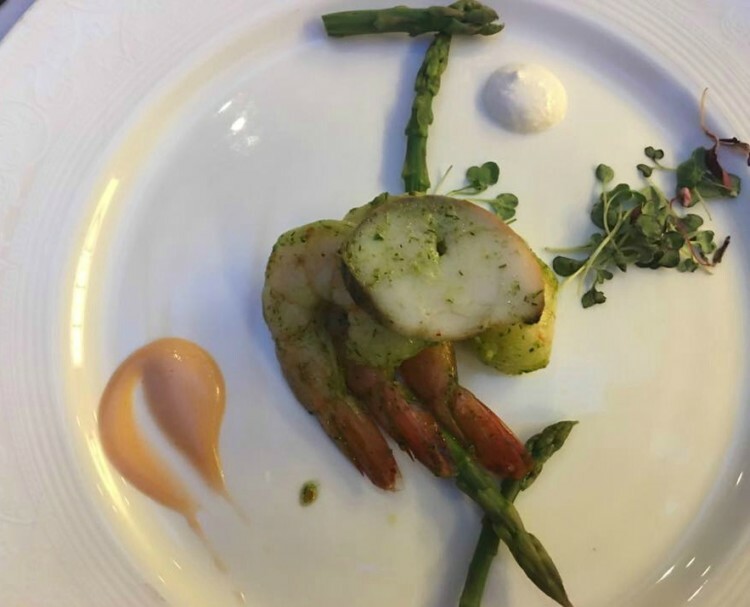 Most room service items are free also. If you’re unsure as to what’s free, just ask. You can enjoy continental breakfasts, quick bites like sandwiches, and desserts. Want warm cookies and milk brought to your room before bedtime? Done. Would you rather finish off your day with a Mickey Bar instead? You can do that, too. We love getting the continental breakfast in the morning, mainly because it allows me to have the coffee I need to have before I leave our stateroom and interact with other people. And yes, we totally have second breakfast at the buffet or in one of the dining rooms. No shame in my game, it’s vacation! Food and drinks (sodas, coffee, tea, and lemonade) on Castaway Cay are also included. Castaway Cay is Disney’s private island in the Bahamas and if your cruise stops there, your food in port is included. You’ll enjoy a delicious barbeque lunch at Cookies or Cookies Too with some seriously sweet background scenery. 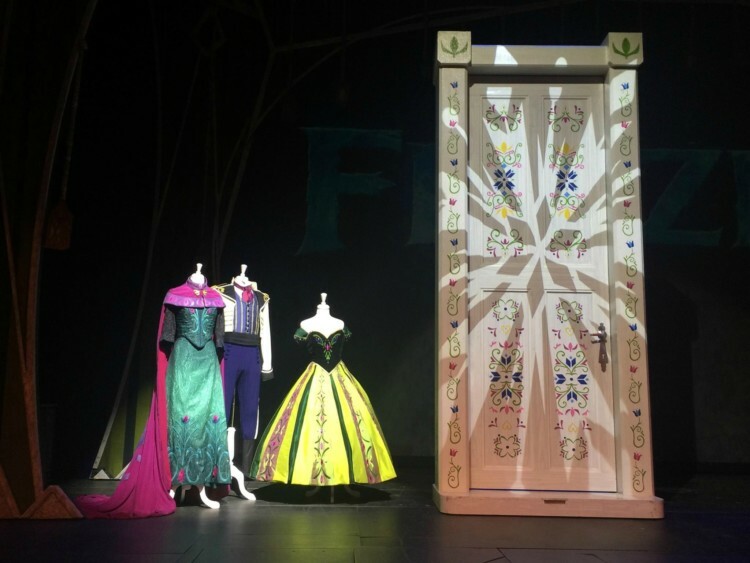 You’ll find Broadway quality shows on a Disney Cruise…all included in the price of your cruise. Additionally, you’ll find movies practically around the clock, both on the pool deck and in the beautiful Art Deco inspired Buena Vista Theater. You’ll find classics as well as first run Disney movies. Our most recent cruise set sail just days after Black Panther was released and yep, you guessed it. It was playing…and not just once or twice, either. The show times were very generous so everyone could have the chance to see it. Most other cruises I have been on have an upcharge for their movies but not Disney Cruise Line. Sports entertainment up on deck is yours for the asking. Mini golf, basketball, ping pong and shuffleboard are all free. If you like more indoor entertainment, check in the lounges – many have board games available for passengers to use. The gym is free…ya know, if you’re one of those people who likes to work out on vacation. You’ll find free weights, cardio machines and other equipment. Also, the gym offers a changing room and shower, which is nice. It has a lot more space than your stateroom’s bath and shower area, so that’s an option for you if you’re traveling with a large family. If your cruise is stopping on Castaway Cay, the 5K on the island is free…including the finisher’s medal. Admittedly, I’m not one of those “work out on vacation” people but I recommend the Castaway Cay 5K. It’s really fun to see a little bit more of the island than you might have sitting in your deck chair and gazing out at the ocean. And, speaking of gazing out at the ocean, the beach chairs, umbrellas, and beach towels are free. You won’t find that at most other ports. All the kids clubs are free. There are three levels of kids clubs: one of younger kids, one for tweens and one for teens. Although I don’t have personal experience with the Vibe and Edge clubs for older kids, I’ve heard nothing but rave reviews…even from teens and tweens who think they’re too cool for kids clubs. All of this is free, although I do recommend preregistering your kids before your departure, even if you think they won’t want to go to kids club. Each stateroom is equipped with two Wave phones – sort of like a walkie talkie or a really old school (AKA large) cell phone. You can call other Wave phones or any other phone on board for free. While the Wave phone is a great feature, it’s one more thing to keep track of. You can also communicate for free on the Navigator App. Make sure you download to app before you leave home and then activate it once you get on board. You can see the daily schedule of activities and events with the Navigator App and also send messages to other passengers who have the Navigator App on their devices. It takes a minute to set up but it’s worth it. And no, you don’t need to purchase a WiFi package to take advantage of this. Winning. Meeting your favorite Disney friends on a Disney Cruise is soooo much better than meeting them in the Disney Parks…as awesome as that is. The lines are shorter. You don’t need to utilize one of your precious FastPass+ to shorten your wait. You can find out where the characters will be by referring to your Navigator. You’ll also see some pop up characters, so always expect those awesome surprises. 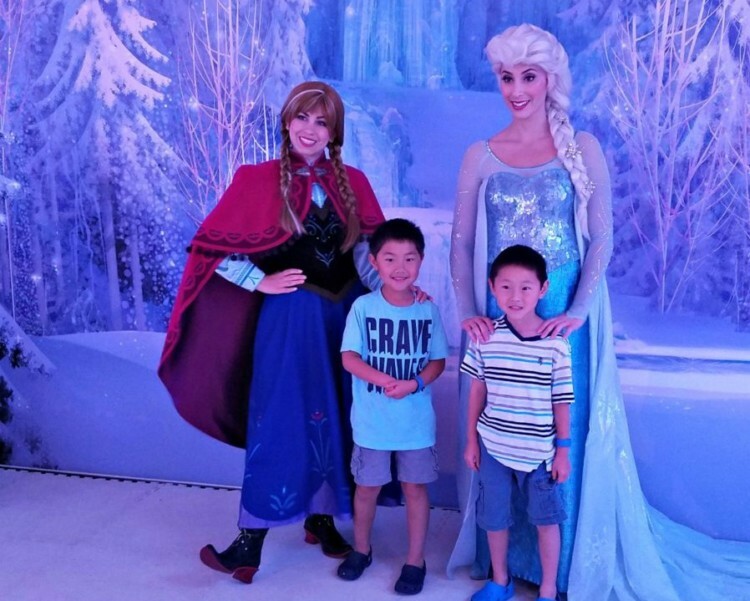 You do need to reserve some character experiences aboard ship…check your sailing to be sure, but in general, meeting the Disney Princesses and Anna and Elsa from Frozen are going to require advance reservations. But they won’t cost you anything! Gratuities are NOT included in your cruise price, so make sure you take care of the folks that are taking care of you. If you like, you can prepay the gratuities before you leave. Your steward will deliver coupons for the appropriate amount to your stateroom on the last night and you can just hand out the coupons accordingly. If you want a cocktail, a smoothie or a fancy coffee, you can definitely get them on a Disney Cruise…for a price. And you know what? Prices for these types of things on board isn’t ridiculous, if you feel like treating yourself. I’d compare the prices of specialty coffees and smoothies to what Starbucks charges and the price of beer, wine and cocktails to be about what you’d pay at any restaurant. We ordered a wine package in the dining room; there are several different options. Signature, upscale dining, such as Palo and Remy, have an upcharge – and from what I hear, worth every single penny. Certain concessions also come with an extra charge, such as specialty confectionaries, smoothie stations or the popcorn and snack stand outside the Walt Disney Theater. You CAN bring your own candy and popcorn on board, or visit the quick service buffet for some fries to enjoy while you watch the show. A word of warning: Your dining room servers will offer your kids fun drinks in even funner cups at dinner…those are not included so maybe decide which way you’re going to swing on that beforehand. 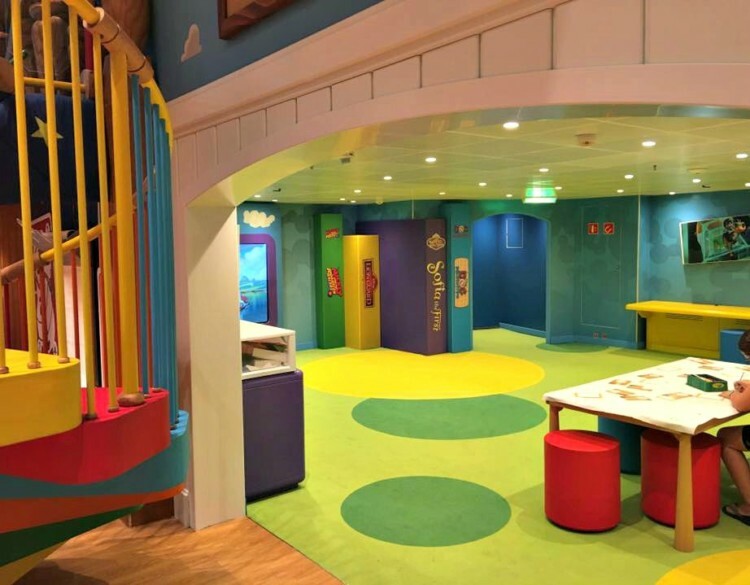 For younger passengers, there’s a Bibbidi Bobbidi Boutique on board where your young princesses and pirates can get the royal treatment. This is a really fun, once-in-a-lifetime thing to do for your kids and they have packages at various price points. Reserve this before you board or at the very latest, as SOON as your feet land on the ship. 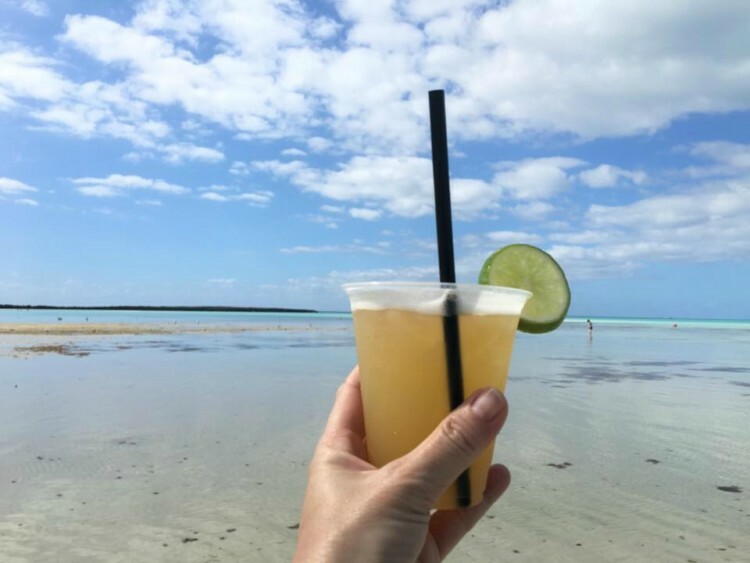 With the exception of food and drinks at Castaway Cay, you’re on your own for other excursions and entertainment at port. 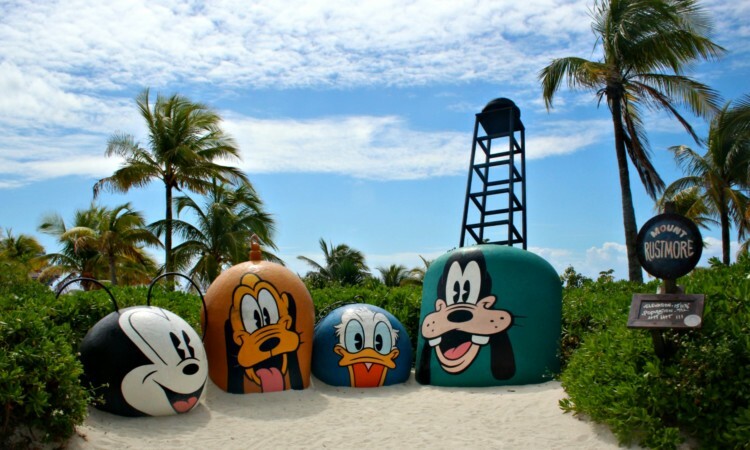 Beach chairs, umbrellas and towels are included at Castaway Cay. If you’d like to snorkel, jet ski, bike or partake in another activity on Castaway Cay, there are extra charges. 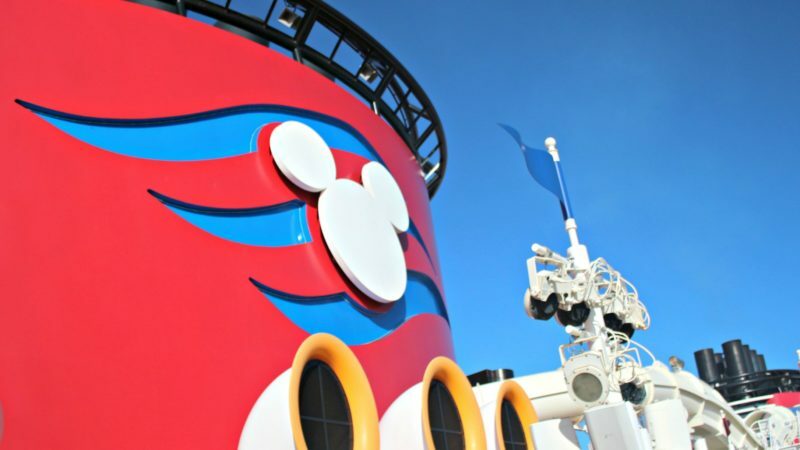 If you want to stay connected on board your Disney Cruise, there’s an extra charge. WiFi aboard cruise ships is generally pretty pricey, although the Disney Cruise prices aren’t as steep as some other cruise lines out there. Although the kids clubs are free, the It’s a Small World Nursery is $9.00 per hour. There are plenty of professional photographers on board the ship to capture all of your magical moments. It’s free to have your picture taken and you can look at the proofs at various points during your cruise to see if you want to purchase a package, but the prices are pretty steep, IMO. If you want some awesome pictures of yourself with your family (with everyone in the picture, I’m talking to you M-O-M) then this might be something you want to budget for. You can also hand your personal camera to one of the photographers or cast members and they will cheerfully snap your picture. You can wait until the very last moment to decide whether or not you want to purchase your photos…and the kiosk ordering is pretty easy. You might be asking “Who wants to do laundry on a cruise ship?” The answer is “ME.” As frequent travelers, we travel very light as a rule. Staterooms on your Disney Cruise Ship are smaller than most hotel rooms. We minimize the crazy by taking fewer things and working laundry into our plans and/or our budget. Disney Cruise Ships do have self-service laundry available (bring your quarters and your detergent pods) or you can send it out. The full-service laundry can take up to 24 hours to come back to your room, so if you’re going to use that service, plan for the wait time. It’s helped us to remember what isn’t included in our cruise price when we make our vacation budget. 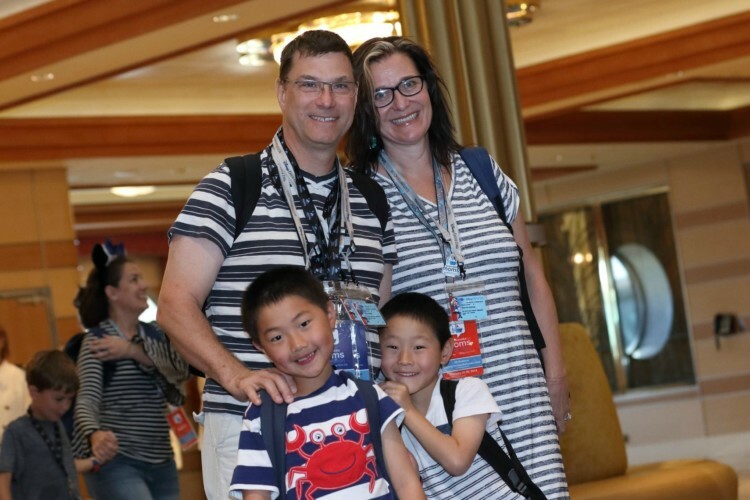 Along with the unbeatable Disney magic, all the things that are included in the price of your Disney Cruise make selecting Disney Cruise Line again and again a no-brainer for our family. How about for yours? Hey Jill, this is very useful for travel beginner like me. As i haven’t visited Disney before you gave me a perfect idea what are the things which would be included in Disney cruise. Thanks for sharing.